Location : Lapulapu City, the prime tourist destination in Cebu, is located in Mactan Island, about 13 kilometers away from the Port of Cebu. It is bounded on the north and west by Mactan Channel, on the east by Bohol Strait, and on the south by the Municipality of Cordova and Bohol Strait. The resort has 546 guestrooms and suites that are tastefully furnished with a colourful tropical decor which is a combination of meticulous local craftmanship and beautiful interior design. From the comfort of your own private balcony you can take in all the breathtaking views of the Visayan Sea and Outlying islands. All rooms are equipped with the most modern amenities including IDD telephones, tea and coffee making facilities, electronic safe and satellite TV. Distinguished guests can enjoy the premium facilities of the Horizon Resort Club at the two top floors of the New Wing offering a new dimension of excellent service. No other resort in the Philippines offers such an exciting range of health, recreational and sports activities the world. For water sport lovers there is windsurfing, parasailing, sailboating, water-skiing, scuba diving, snorkling and fishing. If you prefer your activity on land, there is tennis, a golf park and a fully equipped health club and gymnasium with sauna, steam bath and massage room. To pamper yourself from head to toe, visit the Beauty Salon. Just a short flight from Manila but a world away is one of the Philippines most historical provinces, Cebu. 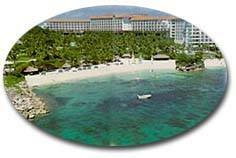 Within easy reach of Cebus entertainment and business district and only 15 minutes from the international airport on a beautifully landscaped 13 hectare site in Punta Engano, you will find the Philippines first 5-star resort. 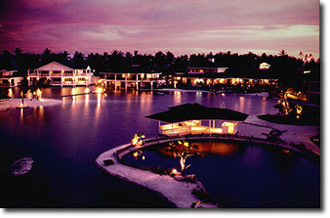 Shangri-Las Mactan Island Resort. Discover a resort in a class of its own. Set in 7 hectares of secluded grounds, Plantation Bay offers one of the largest privately owned waterways in the world, with the clean elegance of colonial - plantation architecture. De-compress from lifes pressures in the healing tranquility of another world. If you ever spent time at a plantation as a child, you know what we mean. If not, come and discover a refreshingly different Flavor of Life. Truly international. 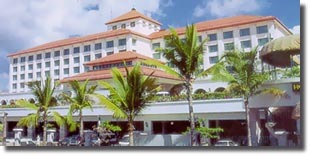 Opened in late 1996, Plantation Bay has already had over a hundred thousand visitors from every corner of the globe. Virtually all of them agree that this is one of the best resorts they have ever been to. International visitors feel rightat home at Plantation Bay. English is spoken throughout the resort; we also have Japanese, German, Italian, French, and Spanish-speaking staff members.Feel like you are at your own private estate. Our rooms are a full 46 square meters; charminglydecorated with individually-selected furniture, oilpaintings, and prints; equipped with remote-control TV, mini-bar, electronic safe, and split- packageairconditioning.And you will love the bathrooms - spacious, stone and marble finishes, separate shower and deep tub, hair-dryer and extension phone.At some hotels, there are a token few rooms with nice views (for the brochures! ), while most guests get stuck with parking-lot or garden views. At Plantation Bay you are assured of a splendid, take- your-breath-away vista from every room.Choose from a dazzling range of activities - jetskis, para-sailing, motorboating, sailing, water-skiing, fishing, tennis, mini-golf, billiards, and tabletop sports. Cruises on our private twin-deckyacht. Snorkeling and scuba-diving just offshore or in dozens of sites nearby. Pistol-shooting and golf available.Our swimming pool is the largest in the country. It has 8 built-in jacuzzis, and is complemented with 3.5 has. of private saltwater swimming lagoons with waterfalls, water-slides, dive-rocks, and hydro- massage pools, plus a tropical fishpond andgrouper fishing hole where you can catch your own lunch.Some resorts feel cramped and crowded. In Plantation Bays extensive grounds and waterways, you always feel open, free, and relaxed. FREE! Airport transportation, welcome drink, 24-hour butler service, mineral water, bicycles and selected sports equipment, childrens activities, dinner entertainment.Indulge your appetites at three signature restaurants providing a choice of international, Pacific Rim, and Italian cuisines. For groups and conferences, our award-winning chefs can prepare just about any kind of meal you desire. Hautecuisine? Nouvelle? Theme-party buffets? Marshmallows and beach bonfire? We have got a menu and a venue for you. The second bridge built across the Mactan Channel (also called Opon Channel), the body of water separating Mactan Island from mainland Cebu province. The bridge is named after the late Marcelo B. Fernan, a Philippine senator from Cebu at the time of his demise and former Chief Justice of the Supreme Court. At the mainland side, the approach to this bridge is at Paknaan, Mandaue City near Gaisano if you take the main highway (Cebu north road). Facade of the Mactan-Cebu International Airport terminal building. This terminal has modern facilities that can measure up to international standards. MCIA also services the five domestic airlines: Philippine Airlines, Grand Air, Cebu Pacific, Air Philippines, Asian Spirit. Health Facilities : Lapulapu City has 2 public hospitals with 85-bed capacity and 1 private hospital. It has also number of barangay health stations and private clinics within the city. 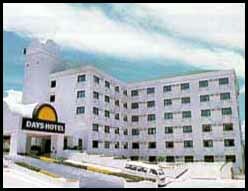 It is also being served by the health facilities located in Cebu City due to its proximity. Education Facilities : At present, Lapulapu City has 2 private-non sectarian schools and 1 state college satellite school. Most students go to Cebu City for their tertiary education. Major Infra Facilities : The Mactan International Airport, located in Lapulapu City, is the country’s second international airport and is considered as the most important gateway in Visayas and Mindanao. It is linked to mainland Cebu by the Mandaue-Mactan Bridge. An export processing zone is also located in the area. Waterfront Mactan, located in the captivating Mactan Island, offers you the luxury of 167 guest rooms and suites, and the convenience of a two-minute walk to the Mactan International Airport. Also, the hotel is only 5 minutes away from Mactan Export Processing Zone. Health spa-jacuzzis, private massage rooms, saunas, lounge, live performances at the Karaoke Bar, and the international standard Casino Filipino. All these choices to give you complete rest or fun, thrill, and excitement. Make that convention, function, or vacation more productive yet pleasurable with our well-planned facilities, business center, 6 multi-purpose function rooms, and excellent service. Plus this exclusive amenity for hotel guests and members only, the CLUB 747 Lounge located at the 7th floor overlooking the airport runway and terminal. Satisfy your whims and desires to the luxury of Club Waterfront - an exclusive international private entertainment club. Pamper yourself in one of the 62 lavish suites designed to give you comfort and privacy. Thrilling games of Baccarat, Blackjack, or Roulette. You call the shots. The fun is endless and the excitement is of the highest quality. Only here in Club Waterfront Cebu City and Mactan. Let the warmth and hospitality of our friendly dealers and lively performances of topnotch entertainers complement your night. 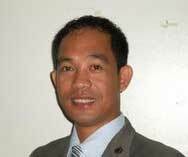 The Mactan Export Processing Zone (MEPZ) is Cebus prime showcase of export-oriented growth. The 120-hectare industrial estate started out with only eight firms in 1986. But today, it keeps on expanding firms manufacturing a wide variety of goods and services. The growing activity in the MEPZ reflects the fast-paced economic development that is taking place in Cebu. The Mepz registered the largest positive trade balance among the four export processing zones in the country. Being labor-intensive, the MEPZ scaled new heights in employment. The zone increased in the number of skilled and unskilled workers. Factories at the MEPZ deliver world-class products to the United States, the European Economic Community and Japan. Such products include watches, semiconductors, electrical equipment, garments and precious jewelry. Enterprises with manufacturing facilities at the zone are predominantly multinational corporations. Half of these are Japanese-owned. The term sutukil is a humorous derivation from three Cebuano words: sugba, tuwa, kilaw -- which are three ways of preparing food, particularly seafood like fish. If we talk about fish, sugba means to broil fish over hot charcoal; tuwa means to cook fish in boiling water together with some spices and seasoning; kilaw means to prepare fish raw but immersing it in very sour vinegar together with spices like onions, garlic and pepper. Eating places that offer seafood in these three various ways are called sutukil restaurants or carenderias. In Lapulapu City, the most famous place for treating friends to sutukil is the barangay (village) of Mactan (same name as the island), near the boundary of another village, Punta Engaño. The sutukil restaurants in barangay Mactan are just across the memorial circle containing the Magellan shrine and the monument of Lapulapu. People from all over Metro Cebu and a number of foreign tourists are frequently seen in this place to enjoy the rich variety of seafood available in over a dozen sutukil restaurants clustered here.